We discussed life as a young professional and the importance of a will for the future. When children and spouses enter the equation it becomes a different story. As you may know, Washington is a Community Property State. With the Community Property designation and in the event that a spouse has died, proper planning is essential to the integrity of the estate. A Community Property State is essentially a partnership between spouses that dictates that property or assets gained during the marriage are to be divided equally. Of course, with any questions of a legal nature, it would be best to contact us at Lyons|Sullivan for clarification; as every situation is unique. That definition is an oversimplification of Community Property and all the more reason to consider a will in the event of a death or divorce. A will, once in place, can protect you and your spouse from unnecessary legal issues in the event that one of you were to die. 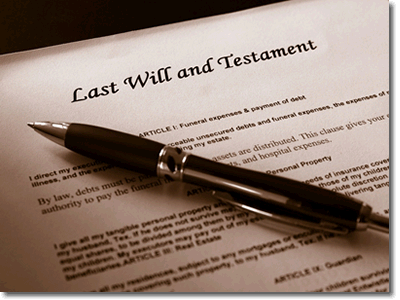 A will is also an invaluable resource for your children, regardless of their ages. A will can establish guardianship for them, establish education funding and provide for their future needs. The bottom line is, a will is necessary for anyone who has a family. It is a safeguard against losing everything that you have worked for in the event of your death. So do what is best for your family and establish a will, in a Community Property State, such as Washington, a will is a necessity.